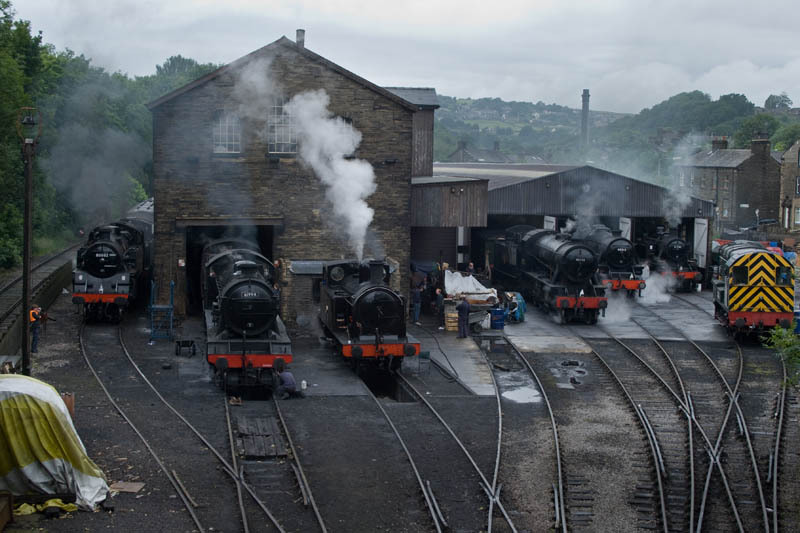 Sunday morning scene at Haworth shed approx 0800. 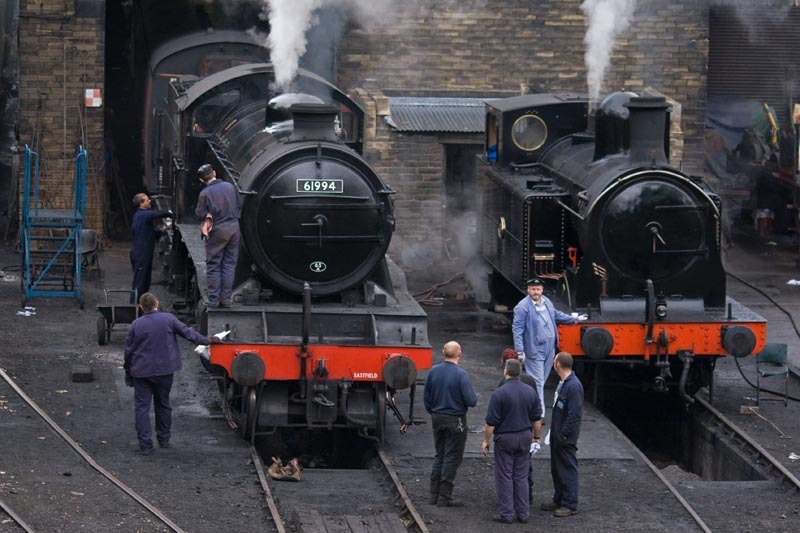 K4 61994 and Taff Vale no 85 being cleaned and prepared for days work. 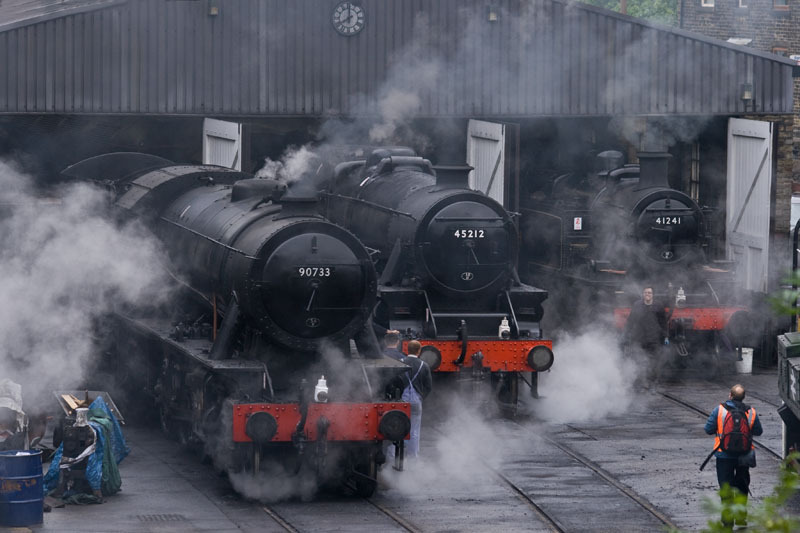 Across the yard WD 90733, Black 5 45212 and Ivatt 2MT are bathed in steam. 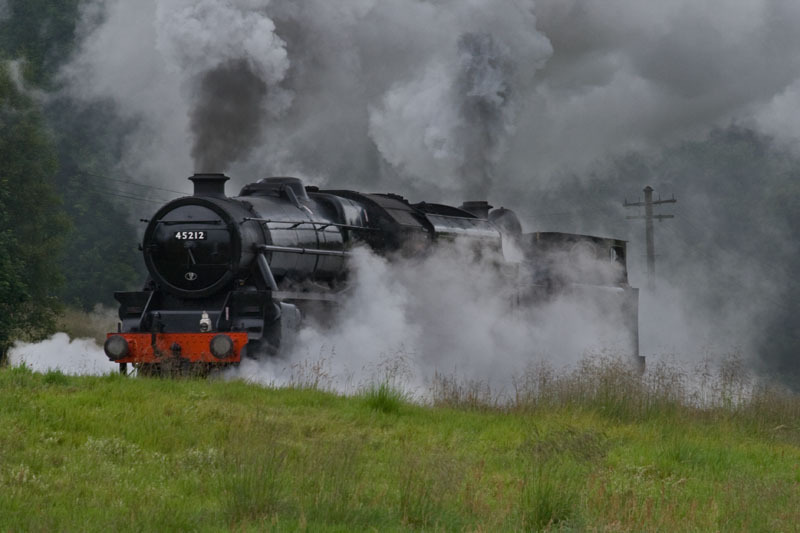 45212 and 85 leaving Haworth loop in spectacular fashion..
..and procced to Oxenhope to collect their stock. 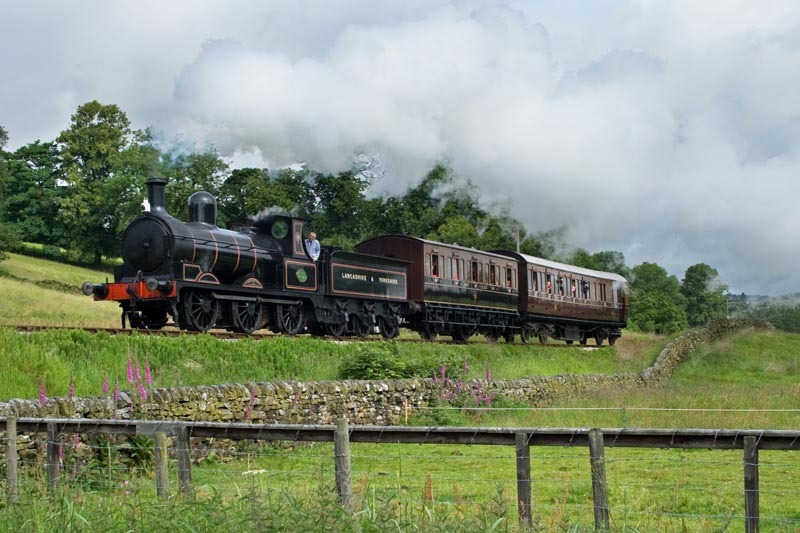 Sunday morning vintage train behind L&Y no 957 seen soon after leaving Haworth on way to Oxenhope. 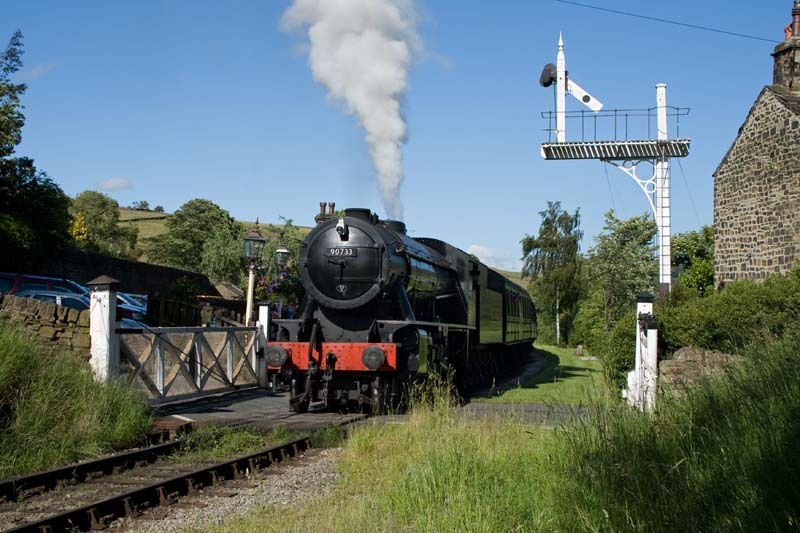 WD 90733 brings the 1710 ex Keighley into Oakworth station in bright sunshine. 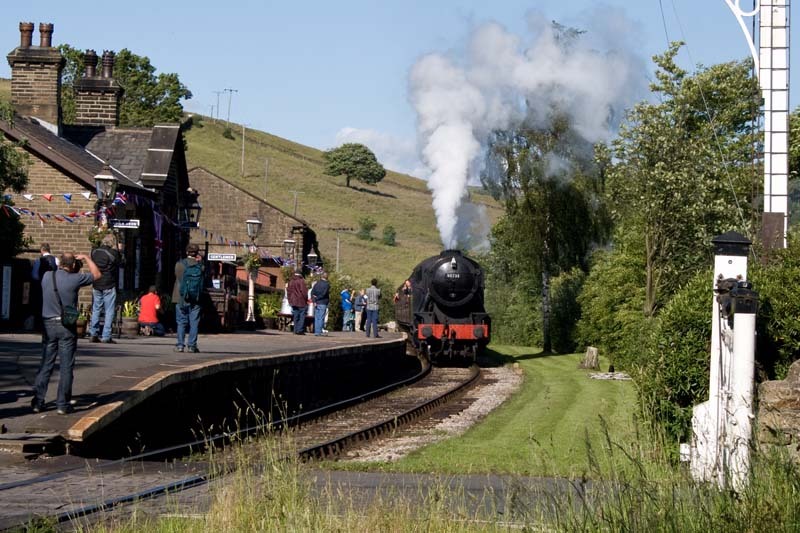 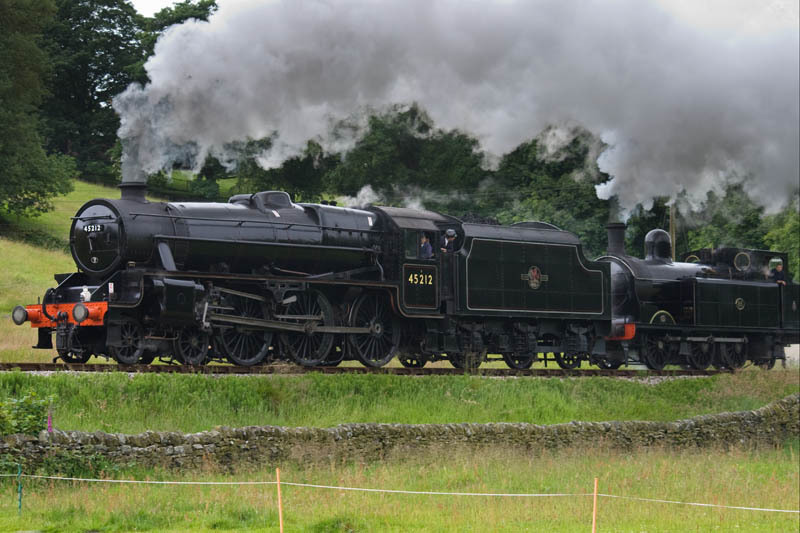 The engine is clearly not short of steam as it crosses Station Road at Oakworth. 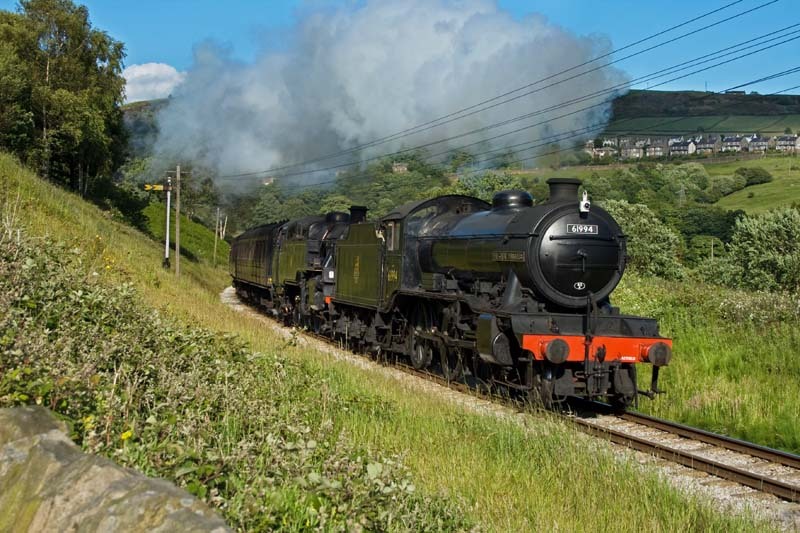 K4 61994 "The Great Marquess" pilots WVR resident tank 80002 uphill towards Oakworth with the 1800 ex Keighley. 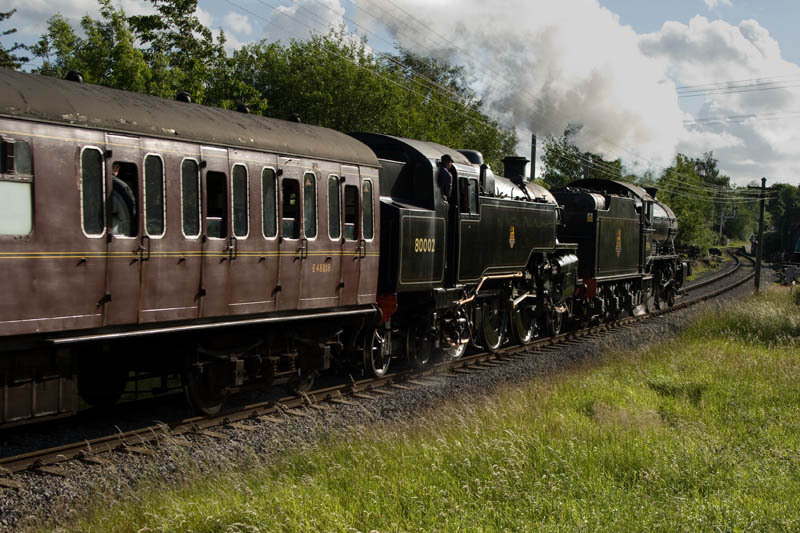 A fine sight as the pair head into the sun and prepare to stop at Oakworth.